I was expecting and got a call Monday night. My parent Laura Zois was in trial in Frederick County in a rear end car accident case. I got word of the verdict: $291,000 and some change. 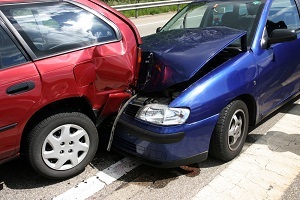 A verdict in excess of the at-fault driver’s of $100,000 and the uninsured motorist policy of $250,000. State Farm claims are always a challenge to settle. More than any other insurance company, they just do not make settlement offers that entice victims to settle before trial. The settlement offer in this case was $8,200, I felt like we should have gotten more and I was a little disappointed we did not. This speaks volumes of where were are, at least in Maryland, with State Farm. We can get a verdict 35 times the settlement offer and still not view it as an epic victory. Because State Farm’s offer was not even remotely in the range of reasonable. The case was disputed on liability so my first reaction was one of joy: glad we didn’t lose. But I knew the case and I really thought the jury could have awarded a lot more. Frederick County is a pretty conservative jurisdiction. We also lost a ton of motions that I think we should have won on some critical issues that I think might have made a difference. If you leaf through jury verdicts which I do on a monthly basis, it is amazing how many car accident cases that go to trial in Maryland are defended by State Farm. I want to trot out the trite “Boy, State Farm is dumb” narrative. In this case, I can make the argument that they should be able to size up a case and plaintiffs’ counsel a little bit and tailor their arguments more closely. But I really think State Farm has a business model that it sticks to diligently: if you want our money you better come and get it. Miller & Zois is ready to go get it but too many lawyers are not. As much as personal injury lawyers and victims might wish it to be so, State Farm is no dummy. I bet they are using this boxing gloves approach because they have decided that it is the best way to maximize profits because too many plaintiffs’ lawyers – who are really settlement lawyers – are going to tolerate it. I can’t hate them for that. State Farm has changed in settlement paradigm in the last few years and we are trying less large cases against them because they tend to get reasonable before trial. The big difference is that the local Baltimore adjusters are being phased out and we are dealing with an insurance adjuster in Atlanta. I’ve found them more reasonable on cases than the folks in Atlanta. We settled a case with them a few months ago for $245,000 when the offer had been $40,000 for a year-and-a-half. The case did not settle until two weeks before trial. Before that, we settled a case for $440,000 ten days before trial when the prior offer had been zero. So I guess the good news is that State Farm might be getting more reasonable. The bad news is they are waiting until just before trial to get reasonable. I would have like to have tried both of those cases, notwithstanding the offers. But, ultimately, the clients are the ones who get to make the choice and they simply did not want to take the risk. Both cases were in Baltimore County where we have had a ton of success – including a $661,000 verdict against State Farm on a case with a $20,000 offer. But the risk is higher in the county than in the city and the clients were advised of that. Is Calling Someone a State Farm Claims Adjuster an Insult?